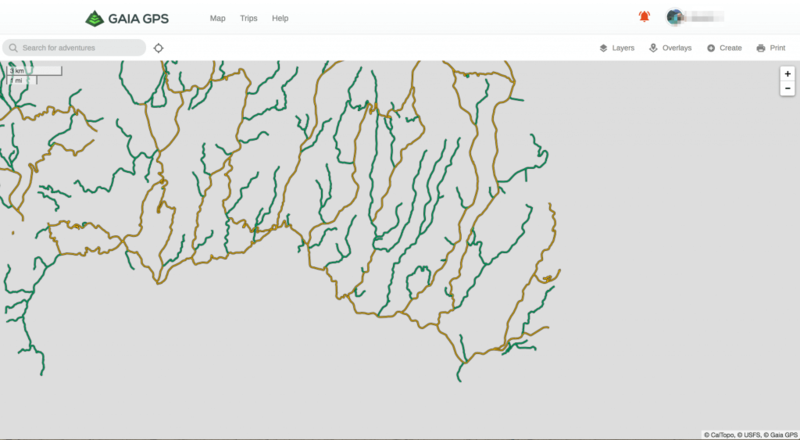 Great news the MVUM map layer is now available to all premium subscribers. It is available in the cloud application and the iOS and Android apps. MVUM maps are the "law of the land" when it comes to legal access to the national forests which have them. 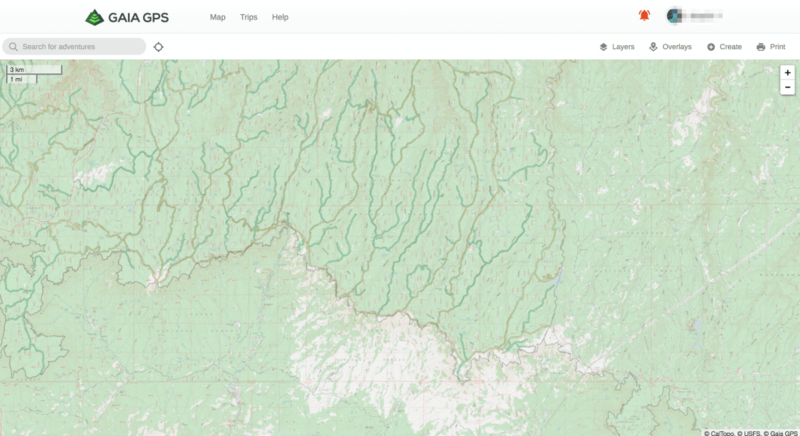 In our screenshots, we are using a section of the Coconino Forest MVUM along the Mogollon Rim. You well see large blank areas on the right side of each screen shot. This is because the adjacent Forest, Tonto, has not published an MVUM. For an FAQ on what MVUM maps are visit, https://www.fs.fed.us/visit/maps/mvum-faq. 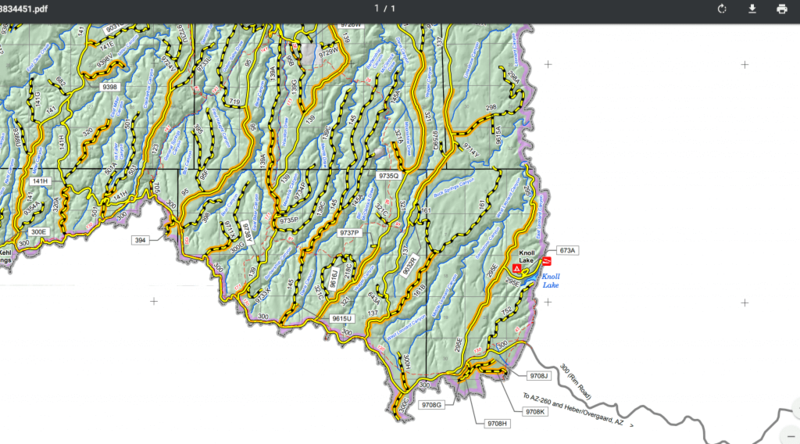 A complete list of current MVUM pdf and paper maps can be found at, https://www.fs.fed.us/recreation/programs/ohv/ohv_maps.shtml. With the new premium layer in Gaia you can add the MVUM layer to any other map layer. 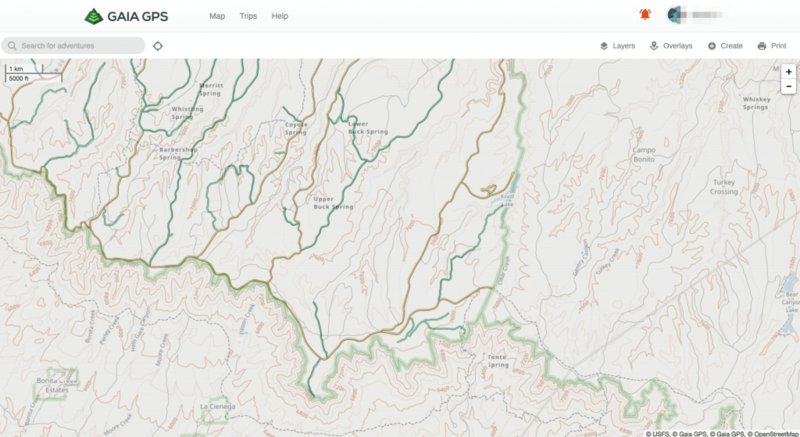 Be it the Gaia topo maps or our favorite map layers, where available, NatGeo & USFS 2016 map layer. On an annual basis, forest services modify which roads may be legal to use. 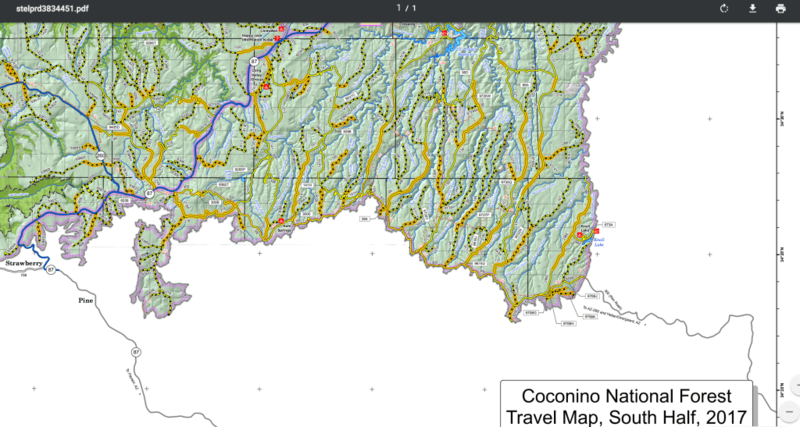 For the Coconino forest in 2017 there are 11 pages of changes (see pdf). Other topo maps may not have this up-to-date information. The MVUM layer will. The official blog post from Gaia GPS can be found here, http://blog.gaiagps.com/gaia-gps-v1-1-for-ios-with-usfs-motor-vehicle-use-maps/. We looking forward to using this new map layer! Gaia is offering a free 1 month trial of the premium level. Simple click the link below. 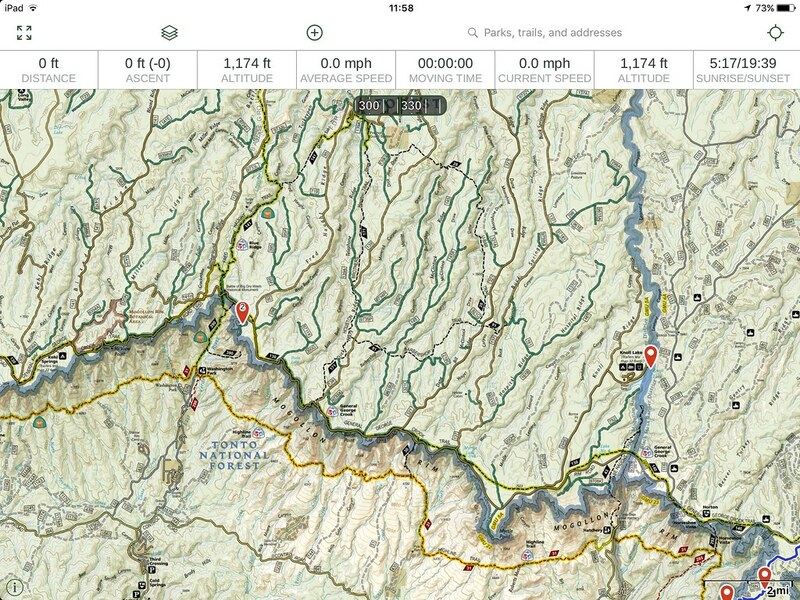 If you have never used Gaia GPS this should give you a chance to try it on your next adventure. 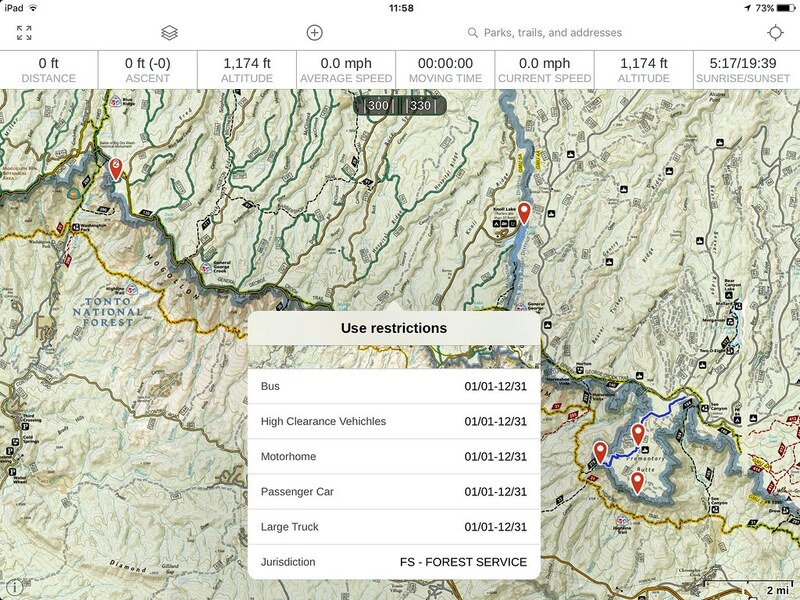 To save 20% on your Gaia GPS standard or premium subscription click here. 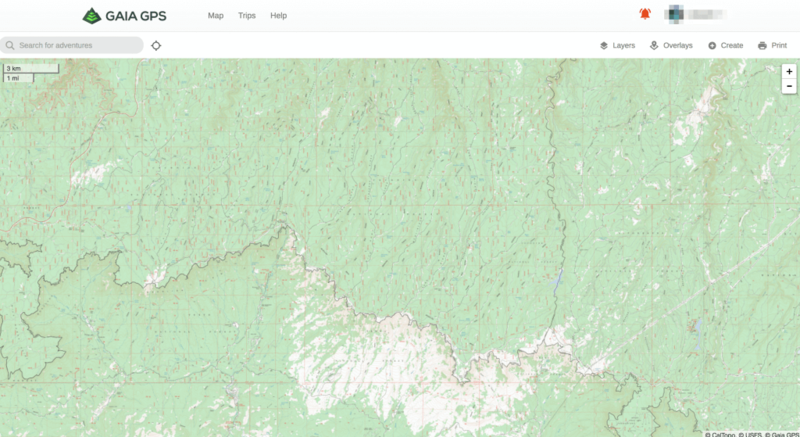 Here are some screenshots from the Gaia Cloud site and the Coconino MVUM PDF Map. In Gaia GPS for iOS the roads are interactive. You can tap on the road to get more details.